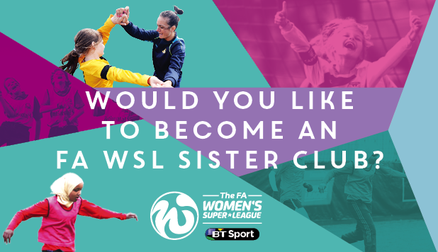 Would you like to become an FA WSL Sister Club? 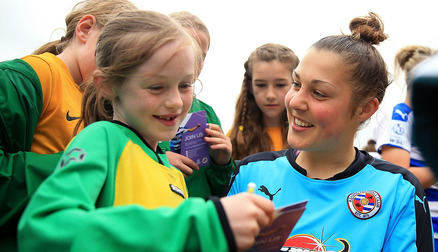 Your grassroots club could become an FA WSL sister club and benefit from player appearances, FA WSL camps, coaching sessions, merchandise and much more! 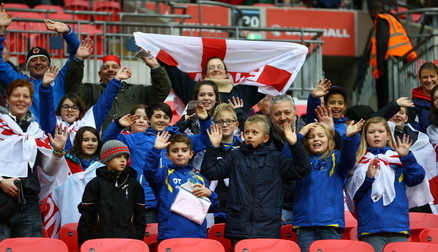 Click the link below to find out who your Sister Club programme officer is. 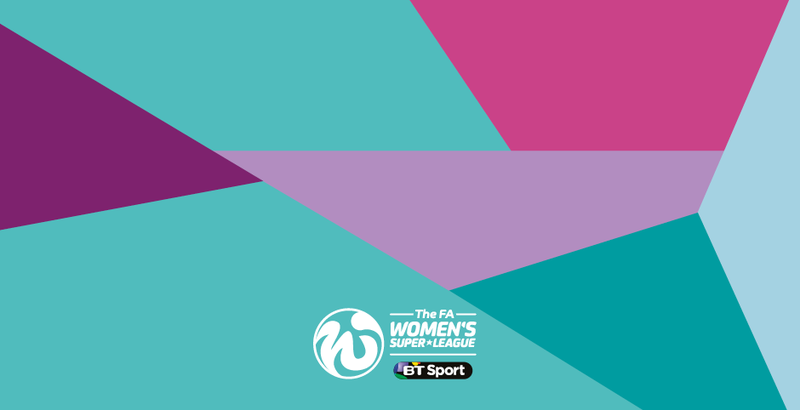 Following successful bids, 11 clubs will take part this season – Arsenal, Birmingham City, Bristol City, Doncaster Rovers Belles, Everton, Notts County, Oxford United, Reading, Sheffield FC, Sunderland and Yeovil.